Hi, darlings. I know it’s been a while since I last posted anything on the blog. Once again “forgive me”. I wish I could say it was bump blues but alas it wasn’t. I needed time to devote exclusively to something else but am done with the personal project now. How have you been? I trust you been slaying fashion-wise and winning in life. These days, it’s mandatory for me to have fruits (no shakara or laziness allowed) but sometimes, just dicing, chewing or eating fruits can be boring especially on lazy days. So last night I decided to unpack my Kenwood smoothie maker and allow it earn it place in my kitchen. Since I promised on my Instagram & Facebook account to share the recipe with you, here is it for your fruitilicious pleasure. I came up with this recipe myself (yeus ke!). I simply threw all the nice and pretty fruits in my fridge that caught my fancy into the blender, including some low sugar yogurt and viola. Trust me, one sip and you will feel like you are in paradise. Simple and easy. 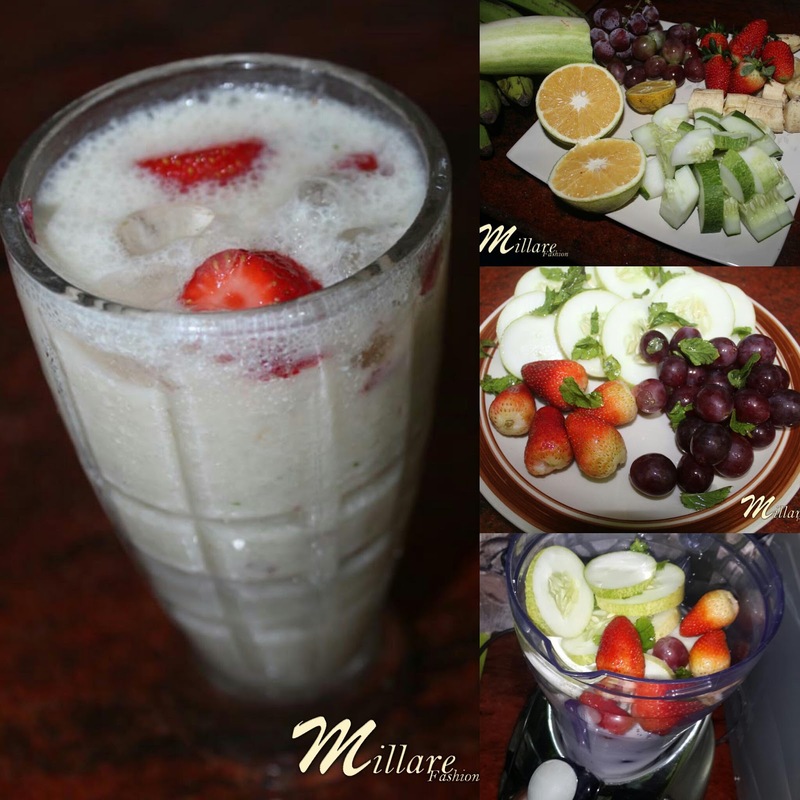 So blend away smoothie lovers and don’t forget to share the experience with me here on the blog.